2201, RCS-4 metabolites) and traditional Marijuana. found in “herbal” incense or smoke blends. RCS-4 metabolites) as well as traditional Marijuana. 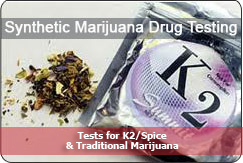 restrictions on K2 and Spice drug test use. Please check with your state and local laws.